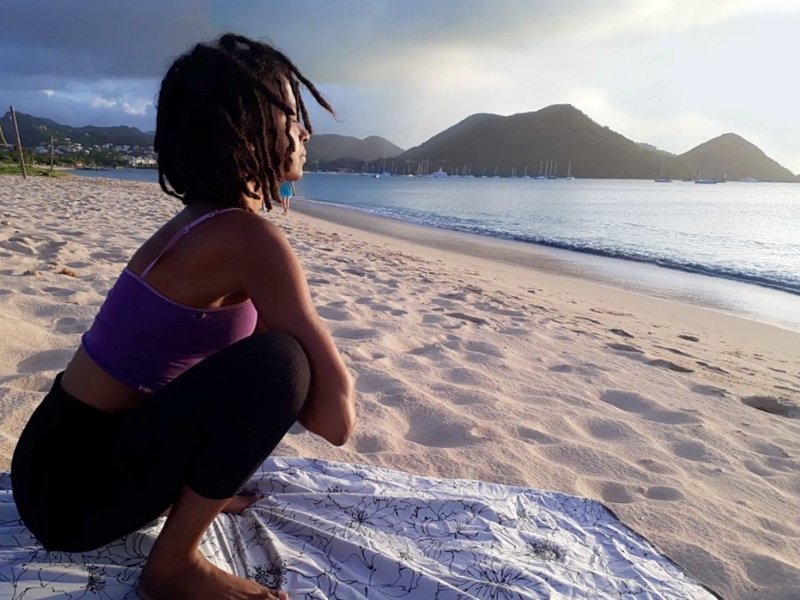 Janelle tells us yoga is about taking the time to feel what your body is saying and learn from it, so your yoga practice can give you what you need physically and spiritually. Janelle’s classes are a blend of Hatha (Foundational) with a bit of Vinyasa (Flow). As a qualified instructor, Janelle adapts poses to accommodate person’s limitations, offering variations that allow all levels of students to take part. 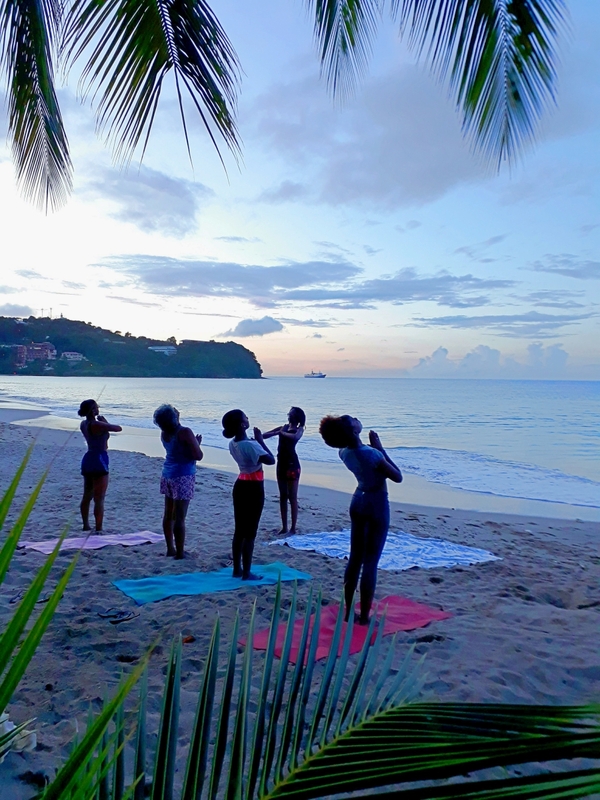 Join the Wednesday Beach Yoga for more than just fun in the sun! Become fit and in-tune while you take in the surrounding beauty of the elements. You can expect to leave with a sense of inner peace as the class ends with a spectacular view of the sunset. Lucian Directions: Driving, turn off the La Clery roundabout as though you were going to the airport but keep straight, instead of turning along the runway, as if you were going to Rendezvous Hotel. Park in the open space to the left of the Hotel (Beach Facilities) and continue walking till you pass the little hut facing the beach. Walking, turn right along the beach past Rendezvous Hotel until you cross the mouth of the stream. Lucian Directions: Coming off the Castries Gros Islet highway, turn in between the two malls, walk or drive down past Scotia Bank all the way to the end and turn right onto Reduit Beach Avenue. Keep going and turn into the 2nd road on the right (between Buzz and Memories of Hong Kong). Take the first left, then then another left onto Palm drive and look out for the discreet sign (Art of Living Center) on the 4th house on your left. Would you consider coming to marigot bay this winter? Hi, would you like Janelle to do yoga in Marigot? You can contact her directly – somehow we forgot to add in her contact details!